Who is going to emerge? THE number of potential developers has been cut from five to three as the South Oxhey Initiative inches towards a start date. However, Lib Dem-run Three Rivers Council has refused point-blank to reveal the names of the trio left in the running to your local councillors saying this cloak and dagger approach was quite “normal”. Your Labour team have protested at being left in the dark at a vital stage of the project. Councillors will only discover the identities of the three mystery bidders on 14 April after which it is expected a developer will be chosen following an all-day presentations and questions event. “If it wasn’t so serious it would be just like watching ‘Stars In Their Eyes’ and waiting to see who emerges when the smoke clears. 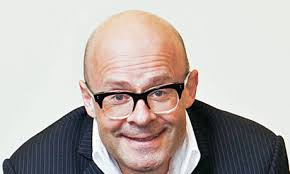 Harry Hill has got just as much idea about what’s going on as anyone,” said Councillor Stephen Cox. Two previous attempts to get the show on the road ground to a halt after developers pulled out. This time, £2.5 million of government funding that Labour councillors agreed to seek has been forthcoming and this will help regenerate the precinct area. “We will be looking for 45% of the planned housing to be homes for rent and a vibrant mix of shops to boost the estate,” said parish councillor Stephen King of Blairhead Drive. The whole scheme is due to be completed by 2020.